Repath has a Holiday Countdown Contest on right now! It’s time to win, for seven whole days! 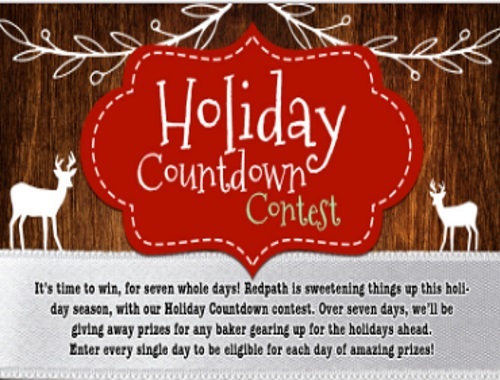 Redpath is sweetening things up this holiday season, with their Holiday Countdown contest. Over seven days, they'll be giving away prizes for any baker gearing up for the holidays ahead. Enter daily for your chance to win each of these amazing prizes! Contest closes December 8, 2016 at 4pm ET.